The level environments are set in such a way, that no matter where you look, it makes you feel like a tourist that needs to take that camera out. A lot of game companies and players seemed to be obsessed on good graphics, but, good graphics with no substance is not enough. Some games out there focus too much on how good graphics, textures and assets, but forget the most important element for this type of the game: Composition. Composition could perhaps be one of the hardest things to accomplish, its just like knowing how to take a great photo, or where to place the objects, how things sit, its how things sit together aesthetically. It perhaps something that is learned with time. But what makes composition, a composition? They are rules to simplify it, such as the rule of thirds (divide the composition by thirds) or the golden rule. Another important aspect of good composition, is by using good values in order to create an order of importance. Spoiler: This house holds one of the most interesting puzzles I have played. And one of my most favorite moments in game. 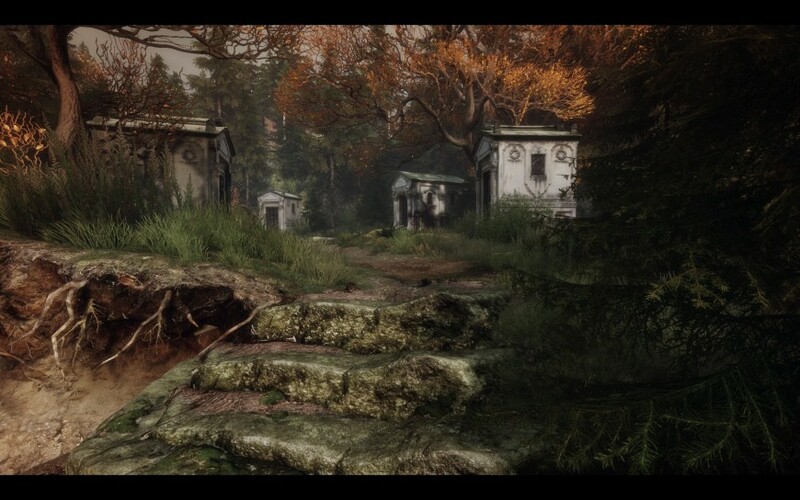 But coming back to the art of the game, the setting and ambiance in this game, is king. Things like the background fog, the autumn colors, the faded and abandoned feeling. Makes you feel like you are in a land where all has gone, and everything else has been forgotten, and you are living in a dream. 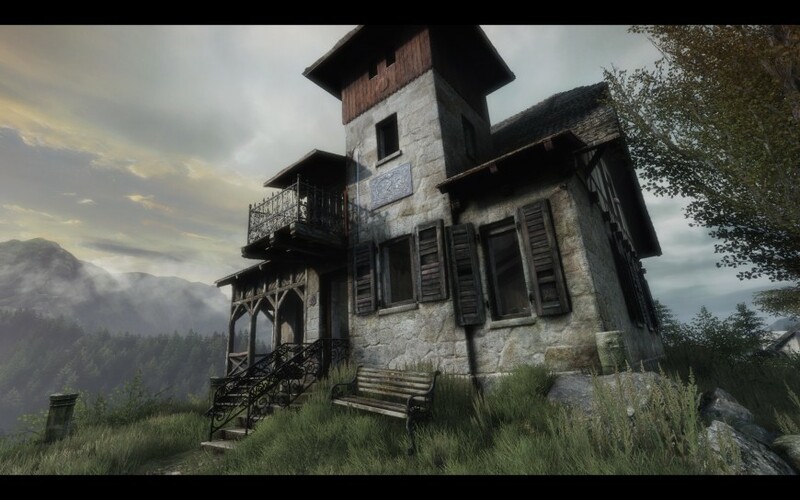 Ethan Carter does not try to be a game, but an experience that lures you in a mysterious place. 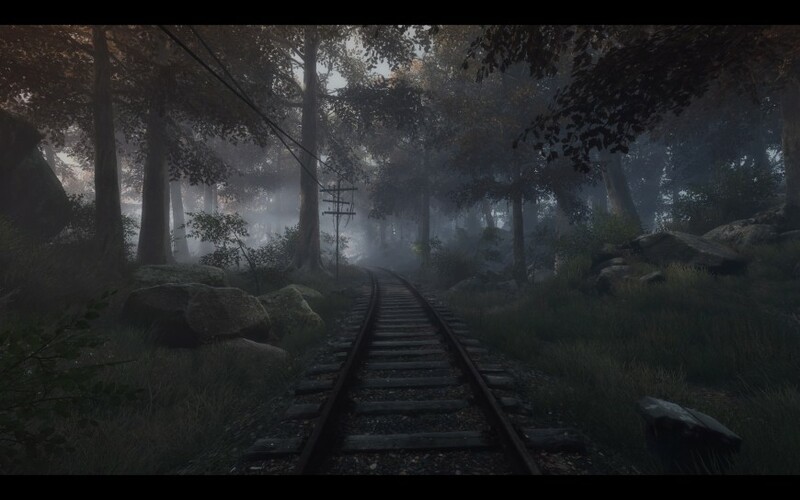 Very similarly to what Dear Esther, or Going Home. Two fantastic games I can also recommend. What really adds to the atmosphere to the game, is the sound effects and the Soundtrack by Mikolai Stroinski. This music has given me chills, and has really helped to wrap up the game very tightly. This is not a horror game, but there has been some moments when the hairs of my neck has lifted. This is not a game for children. Inhale,… and exhale… Aaaahh Look at the roots that are coming out from the earth. This is a game that I would have been incredibly proud to have contributed. But them visuals, how are they so good you say? well, by far not used by conventional methods, but with a technique called Photogrammetry. To capture real assets with photos in diffuse light settings, and with retopology and baking tools, makes it able to be rendered in real time. The Astronauts uses a very interesting technique to create the assets, and goes with a very interesting methodology, this is: why create textures and assets in a production environment where you only have hours to days, when you have nature it self, and take it. Nature is not procedural, textures do not repeat, and its not random either. Every dust particle, leaf, rock, bit of moss, water stain, has its purpose. Because life and nature has taken its part with the power of time. Unfortunately, I have a small problem with this. Would it be considered cheating? Should artists go out of their computers to take photos of assets? Or instead, look for algorithms or techniques that simulate the effects of tear, wear and weathering effects with software? I will refrain from Photogrammetry because I like the freedom of being able to create the things that I envision without having to resort to objects that exist. That said, using computers, there is no such thing as cheating, as long you do not steal other peoples work, or, a make bad job. 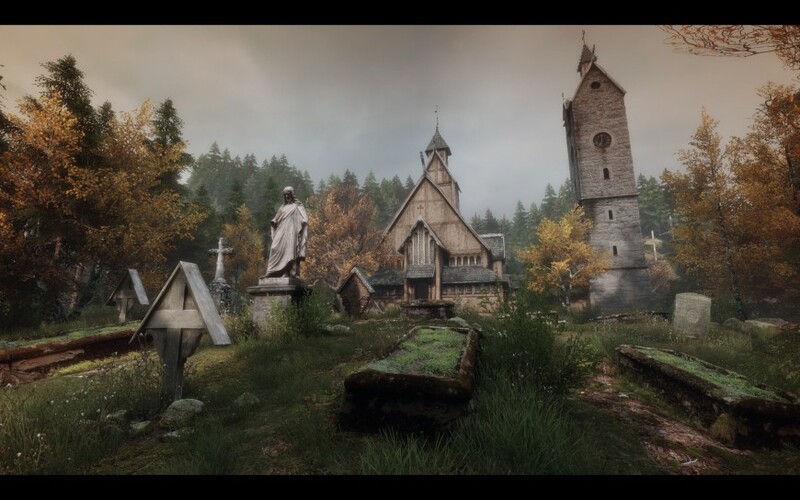 And also, I can see how it would have been very hard for the Vanishing of Ethan Carter to be the game is it without using this technique. Photogrammetry. Surely it has worth it. That rock looks like a real rock. Maybe I should go for holidays to Antelope valley with a couple of 64GB sticks, and a great camera. Vanishing of E.C., its a game that inspired me to the point that I when I finished the game, I wanted more, I dint want the game to finish. I want more games that its main focus is to just explore the world, and be caught in its magic, instead of being dragged in with action and events. Congratulations to The Astronauts on making a game that raises new standards on how games should be presented. Not holding your hand, but walking with you, with both heart and mind. What is next? I am very excited on what The Astronauts are going to be doing next. Hell, I might work on my portfolio to see if I can get a job with these guys. I want to make games that gives chills, wonder and awe. I wonder if Astronauts are going to go for another ghost detective story, or instead, they are going with a whole different new game. There was something that I really enjoyed exploration games like Myst, Riven and Exile from the Cyan team, and now we have a whole new opportunity where technology is crossing the line between pre-rendered graphics and real time graphics. Things are going to get really interesting, and I hope that with this visual revolution, companies might take a turn for more games to go in this direction. 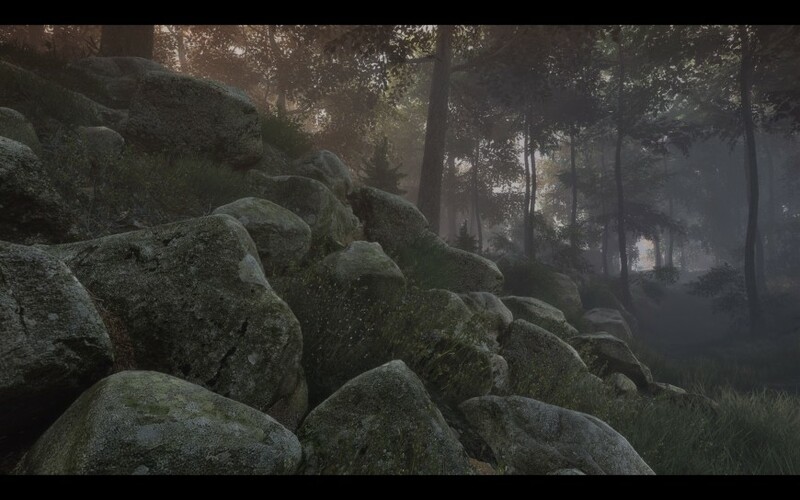 Vanishing of Ethan, is a must for any computer graphic artist out there that enjoys making breathtaking environmental art. Make sure you have a good shower, order some take in, turn off your phone off, and plug your earphones on. The game can be enjoyed in a good four hour sitting.